Hi, I'm back with more butterfly ATCs. 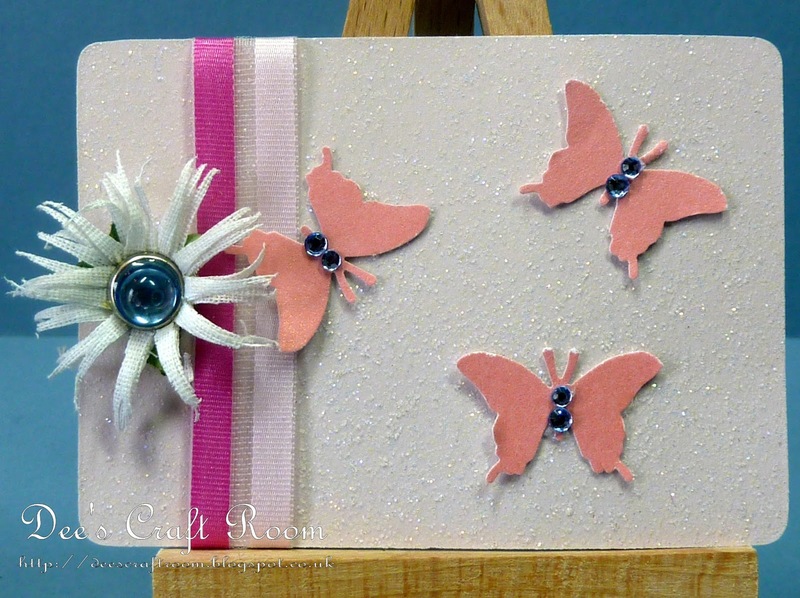 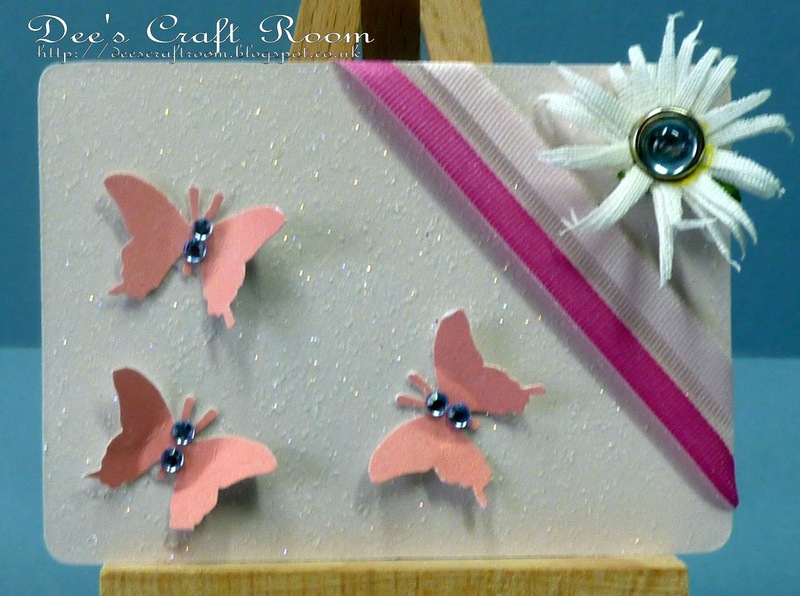 This week Crafty Boots Challenges is all about pink butterflies. 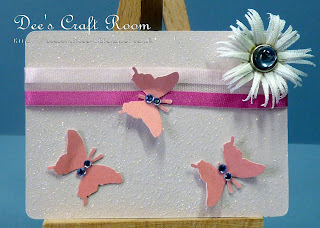 I have been having so much fun letting my imagination run riot and my craft room is overrun with butterflies. I used a Martha Stuart punch to make the butterflies out of pink pearlescent card and I added tiny flat backed gems to their centers. The pink glitter card was from my stash and the daisies and the gem brads are from Wild Orchid Crafts. The two tone ribbon is from the Really Reasonable Ribbon people. 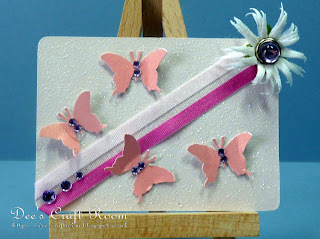 I am sure you have lots of ideas of your own for pink butterfly projects. 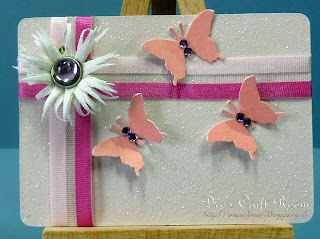 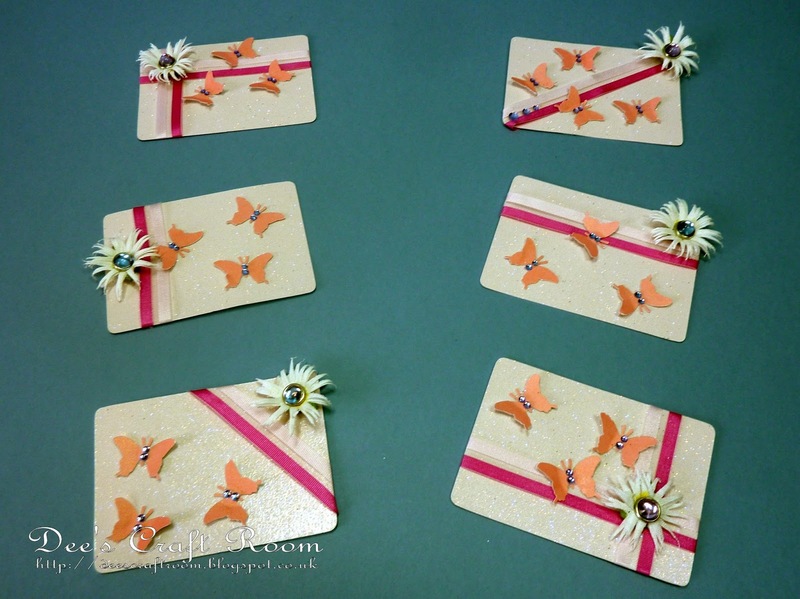 These are butterflies ATCs galore. 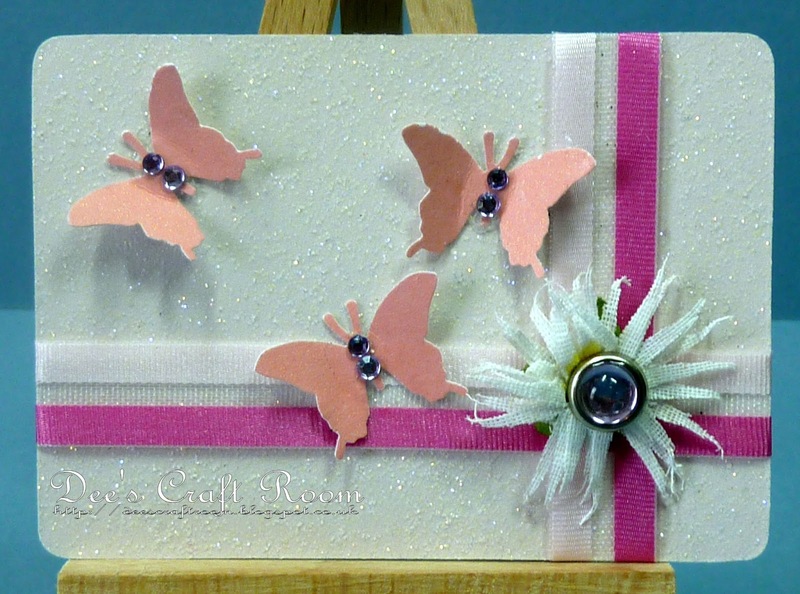 So elegant and gorgeous!